This amazing film by Chetan Anand is one of the most unusual movies I’ve ever seen, and maybe the most heart-wrenching. It’s a masterpiece of story-telling; shot largely with a hand-held camera on the streets of Bombay, it follows a 15-month old toddler (Master Bunty—who is so chubby and endearing that he melted even my sticky black heart of non-maternal tar) as he wends his unsteady way in search of his mother, who has died. 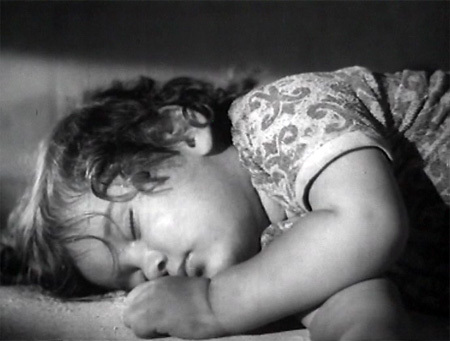 How Mr. Anand managed to direct a toddler so perfectly I’ll never know (and Bunty gets top billing in the film’s credits, most appropriately)! It is also Rajesh Khanna’s first or second film, and he is superb, endowing his not entirely likable character with a humanity that makes you root for him, despite his flaws. The film is an indictment on a societal level of the indifference bred by modern urban life, and on a personal level of the wrongs inflicted by selfishness and pride. These points are hammered home by the focus on a little boy who can only say “Mama” and “milk” as he perseveres in his hopeless search. 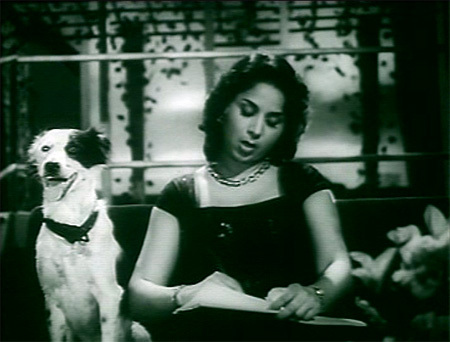 Honey is a very awesome and intelligent German Shepherd in the somewhat less awesome and intelligent film Zindagi (1964). Gemma cheered her on with gusto whenever she appeared onscreen. See? My dog really does watch Hindi movies with me! 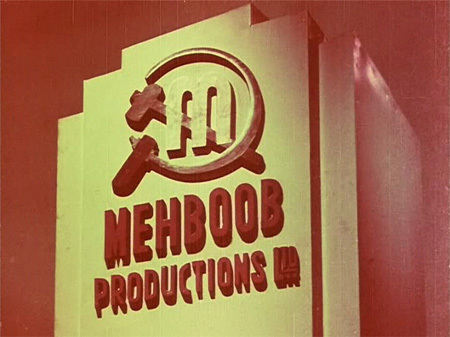 This is the voiceover spoken as the emblem for Mehboob Productions is shown at the beginning of Mehboob’s films. Can you tell me whose voice it is? Hint: He was a music director-composer. It’s widely understood that beautiful people get a pass on many things that those less favored in the looks department do not. And so it is with films too. Does it have an intelligent, spell-binding and socially relevant plot? It does not. But it is GOR-geous. 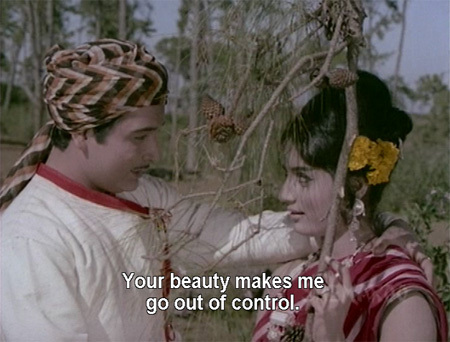 Rajesh Khanna is beautiful, Leena Chandavarkar is beautiful, the costumes, the sets, the color…my god, the color! Truly only Indians and possibly the color-blind would think to combine the shades in the screen cap above (plum, scarlet and coral?) but it is spectacular. In an international beauty pageant of cinema, Muslim socials—and this one in particular—would always be a winner. What can one really say about a film like this? For one thing, it makes me despair as a woman on behalf of us all. How can someone like me possibly find any common ground with men who find this titillating? Could we ever reach an understanding on anything? Don’t get me wrong! I myself enjoy a good meal and possibly more drinks than are good for me. I like that the women in this film are actually human-sized. I am happy to know that in the North-West Frontier of Pakistan I might be considered worthy of the enchanting name “Haseena Atom Bomb” (or “Bump” as pronouced by Madame Noor Jehan in the title song). At last! I have seen a film where I liked Biswajeet! He suits his role here perfectly, and the movie is good fun despite nothing really new story-wise. The music is wonderful, by Hemant Kumar, and it co-stars the lovely Rajshree, the ever-elegant Durga Khote, baby-faced Mumtaz and PRAN. It also illustrates the value of a good director: Hrishikesh Mukherjee. He takes the somewhat hackneyed fairy-tale plot and lifts it up a notch by getting good performances out of his actors (keeping some of them *cough* Mehmood *cough* under better control than is often the case) and keeping everything moving along at a good pace (he edited the film too). Plus, the locations in Jaipur and the Amber Fort add authenticity and are beautifully photographed, which is a visual treat. As a gori mem who enjoys her gigantic icy-cold Kingfishers every day while in India (and “several” glasses of wine every other evening), I do love a good song about the devil’s potion! 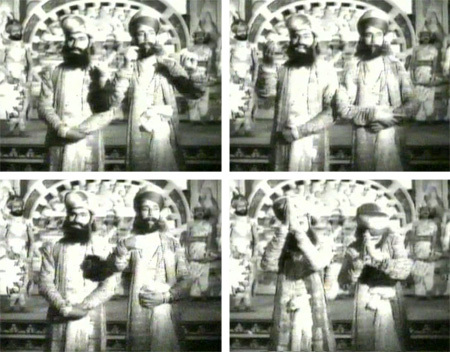 Inspired by Dusted Off’s post on the same subject, I have changed one of her rules: I’m including fake-pretend drinking because it’s a fascinating (to me anyway) artifact of Hindi movies. If you need to chase someone off, or get them to hate you—pretend to have a drink! (I would be lonely and unwanted indeed!) Of course some would point out that *most* movie drinking is “pretend” unless you are Dharmendra. I am only including songs from movies I’ve seen, where I loved the song and the performance and picturization of it. Liking the film is a plus too, but not strictly necessary. The biggest surprise that this film has to offer is that rap was invented in India! Oh, yes. Here is incontrovertible proof, given us by two guys who had the outfits a bit wrong but all the hand movements just right. Listen to this (it’s short)! I’m in love again. Almost on a Shammi scale, even. I first saw him in Humayan, where his lust for vengeance was constantly thwarted by a target who was nice to him. But his eyes and his bristling manner enchanted me, even then. And now! 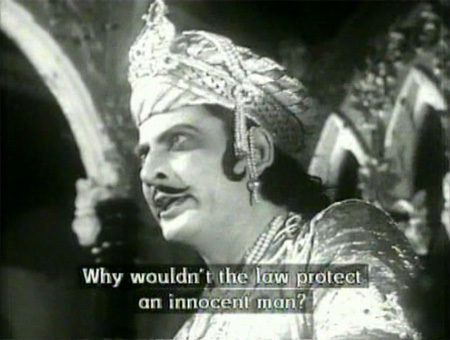 Chandramohan plays the Mughal emperor Jehangir in Sohrab Modi’s classic Pukar, and he is spectacular. Sometimes I had to stop the film just to sit and gaze at him. To be fair, the entire film is spectacular. It is overwhelmingly magnificent, a sumptuously visualized and thrillingly plotted tale of love, murder and justice. I will forever be in my friend Muzafar’s debt for sending it to me. He also sent me 1941’s Sikandar, with Prithviraj Kapoor! These two films along with 1943’s Prithvi Vallabh form a trilogy directed and produced by Modi, and I feel so lucky to be able to see them. Again though, it really begs the question: why haven’t these treasures been restored, subtitled and put on DVD? Why?? I don’t know if I want to live in a world where Gunmaster G9’s shenanigans take precedence over this masterpiece!